The new Texas Chainsaw 3D is getting nearer to its January 4, 2013 release date. Now all the images are flooding in including the new Leatherface image. 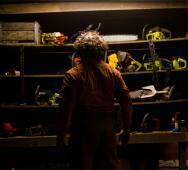 We also get to see his arsenal all laid out for us behind Leatherface in his tool shed. Texas Chainsaw is loosely based on the real life murders of notoriously infamous serial killer Ed Gains. 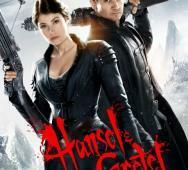 If your anything like me, your looking at Hansel and Gretel: Witch Hunters as a promising horror movie. The film will star Jeremy Renner, Gemma Arterton, Famke Janssen, Peter Stormare, Thomas Mann, Derek Mears, and Ingrid Bolso Berdal. Matthew Spradlin‘s Bad Kids Go to Hell will be releasing this upcoming December 7, 2012. This horror film will star Amanda Alch, Marc Donato, Augie Duke, Roger Edwards, Ali Faulkner, Cameron Deane Stewart, Jeffrey Schmidt, Chanel Ryan, Eloise DeJoria with Ben Browder and Judd Nelson. This movie doesn’t look like a must see film but worth the watch. 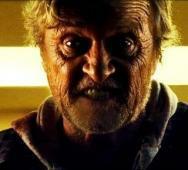 Rutger Hauer has been cast in Season 6 of the upcoming True Blood. I have great suspicions as to what cast member he will be starring as. I suspect Rutger will be starring as the vampire who killed Sookie Stackhouses’ (Anna Paquin) parents. I am a big True Blood fan and I can’t wait to see the next season. In July 2012; Daniel Radcliffe was cast in Alexandre Aja‘s (The Hills Have Eyes, Piranha 3D) adaptation of Joe Hill‘s Horns but now we have a photo. Daniel is set to play the lead role and looks awesome in character. Take a look for yourself! 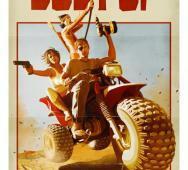 Dust Up looks like it will be a good horror comedy movie to sit back and watch late at night. Dust Up will have cannibals, vigilante turned hero and loaded with funny one liners. You might be surprised to see Amber Benson (Buffy: The Vampire Slayer) in the damsel in distress lead role. The rest of the cast being Ezra Buzzington, Jeremiah Birkett, Travis Betz, Aaron Gaffey, Devin Barry and Mike C. Nelson. 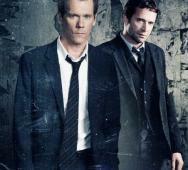 New FOX TV show The Following will be premiering January 21, 2013 at 9/8c, on FOX! This TV show has “hit” marked all over it. I am a big Kevin Bacon and James Purefoy fan. I watch every HBO Dexter episode and I see myself watching this one in the same light. A serial killer who has a mass following and these followers are actually committing the murders for their master, brilliant. 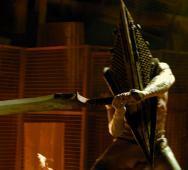 Silent Hill: Revelation 3D comes out this Friday, October 26, 2012. 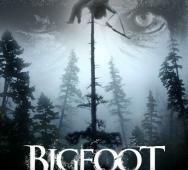 Directed by Michael J. Bassett and highly anticipated due to the great horror games franchise. Silent Hill is one of my favorite franchises for its horrifying tone and atmosphere. Do yourself a favor and make sure you go and watch this horror movie in theaters, I will. Wrong Turn 5: Bloodlines comes home thanks to Twentieth Century Fox Home Entertainment. Fox went one step further and created a crazy mash-up site where you can download assets to make your own mash-ups of the Wrong Turn series. Reminisce on the good times of the Wrong Turn series. 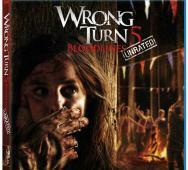 Wrong Turn 5: Bloodlines will be available for purchase this upcoming October 23, 2012. 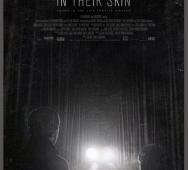 IFC‘s upcoming movie In Their Skin (Replicas) released their official poster. 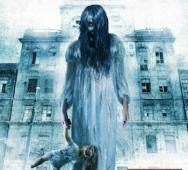 The new horror movie will star Selma Blair, Josh Close, Rachel Miner and James D’Arcy. The film will be available in a limited theatrical run this upcoming November 9, 2012 and is already available On Demand since October 4, 2012. The Vicious Brothers presents Grave Encounters 2 and I can’t wait to see it. 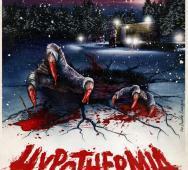 John Poliquin will be directing this horror movie. 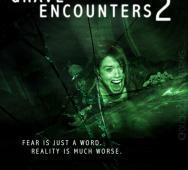 If your like every other person out there who has actually seen the first Grave Encounters, you want to see this second installment coming to VOD this October 2, 2012 with a theatrical release soon after. This Almost Human poster is created by Tom Hudge aka The Dude Designs. Almost Human is directed by Joe Begos and has a cool synopsis. 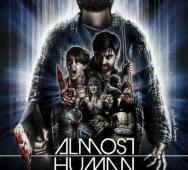 The poster can also be found on the official Almost Human movie Facebook page. Skybound, founded by Robert Kirkman with the focus on allowing creator owned comics to be released. Witch Doctor: Malpractice will be released to the public this upcoming November 28, 2012. Written by Brandon Seifert and features illustrations by Lukas Ketner. The Collection comes to us from the twisted writers of Saw IV, V, VI and VII. Director/writer Marcus Dunstan‘s trailer looks fantastic and certainly grabbed my attention. The Collection will be coming to theaters this upcoming November 30, 2012. The Poster comes from Dread Central. Stanley Kubrick‘s The Shining is a favorite of many horror movie fans. 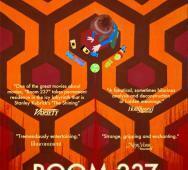 This documentary will expose the hidden meanings to the classic horror movie. I loved the film myself and would love to check this out. Stitches is looking to be a crazy killer clown movie. Conor McMahon directs what is sure to be a good horror movie. Ross Noble and Tommy Knight will star in Stitches.